Opal Pendants Are Always a Thing of Beauty! Opals are one of my own personal favorites. They are so beautiful, and they seem to change colors as they catch the light or even appear to pick up the colors of an outfit. I always enjoy wearing opals. I love the blues, pinks and sometimes even green colors combined to make a gem masterpiece on my neck. These opal pendants for women have been specially selected as the best to buy online at reasonable prices. Scroll through to enjoy the collection and to find some fun facts about opals. 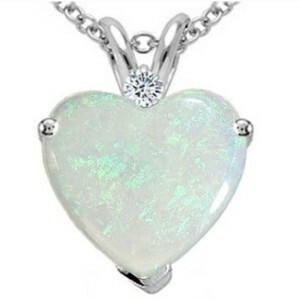 This lovely pendant features a genuine natural opal. It is made in England and fully hallmarked by The Dublin Assay Office. The opal is set in 10k yellow gold. This is a lovely gift idea for anyone who loves opals. Almost all of the natural opals are found in Australian – something like 95% of total world production. The internal structure of an opal bends or ‘diffracts’ the light which gives it its unique iridescence. Opals contain more water than any other gemstone – something like 10%. This is possibly why light-rays bend when they meet the fluid spheres within the opal. Opals can either be light or dark crystal with a transparent layer showing up the darker layers underneath. The most common color of opals is milky white and blue with orange and green next. Red opals are rare and much sought after while true black opals are very rare and will fetch huge sums. Australian aborigines believed that opals were first made when the creator came to earth in a rainbow and left the fire and lightning behind in the ground. The play of color of opals gives it the name “the picture stone”. Supposedly meditating on the gem invokes fantasies. Opals became popular during the Art Deco era when the subtle charm of the stone was much used by designer jewelers. 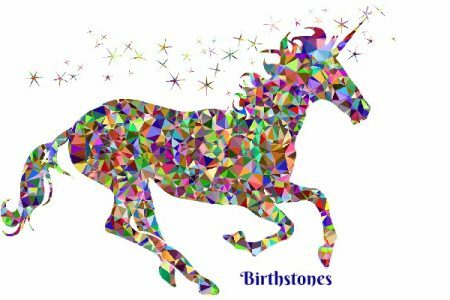 The opal is the birthstone of October and also a Zodiac stone for Aries, Libra and Scorpio. This pendant forms a flower cluster of natural opals. Hand picked and hand set, this pendant is one to treasure. It is set in sterling silver and the vintage style is likely to attract attention. Comes with presentation gift box. These three pendants demonstrate how different opals can appear based on their natural color or the setting. From left to right, the first necklace is a opal that is accented by the 3 diamonds on one side. The center necklace is actually a created opal and the cross features blue-green opals. Each necklace has a very unique and elegant look.